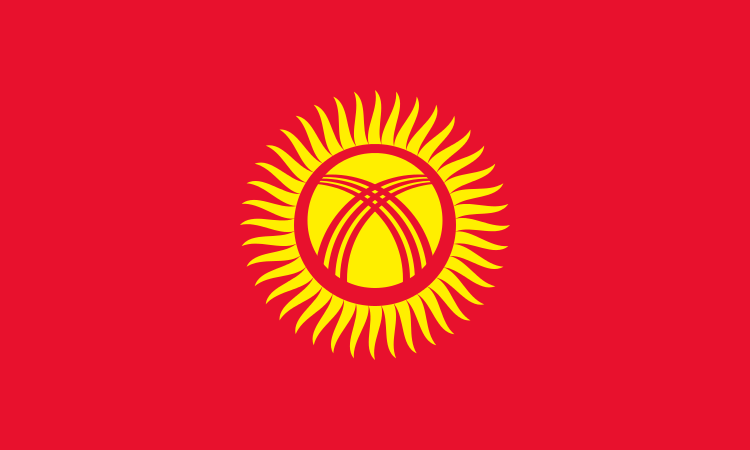 It is a 12-year-old flag with symbols that span ages. The crimson background symbolizes bravery and valor. The sun is said to represent peace and prosperity. The red ring with crisscrossed lines in the center of the sun represents the tunduk and by extension the family home. 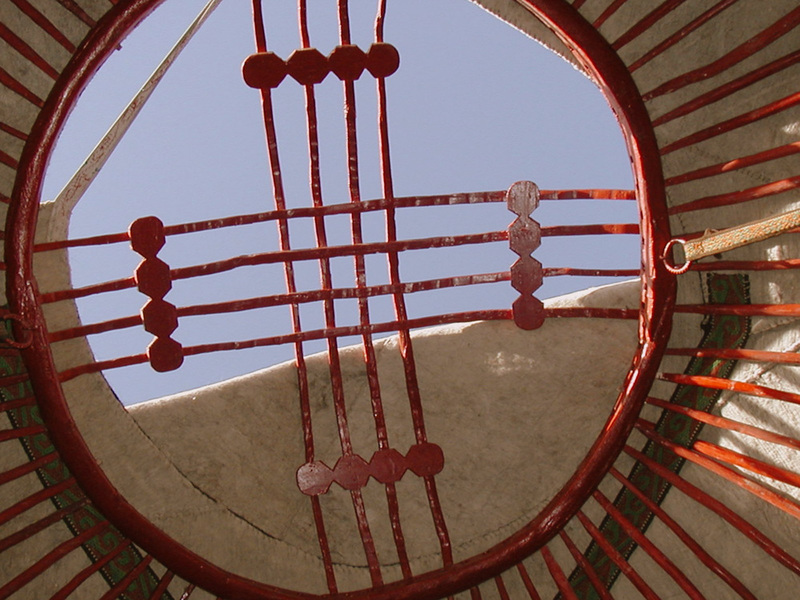 The tunduk is the crown of the yurta. Though the ribs of the yurta are usually made of willow, heartier juniper or birch are used for the tunduk.